First we get into the new rate increase for Netflix subscribers. New subscribers will get the increase immediately. Which doesn’t matter because they didn’t know about the old rates, right? 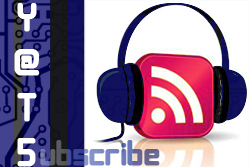 Current subscribers are price increase-free for two years. How do you feel about this price increase? I personally have no beef with it as the service continues to be a great experience and we know that 4K will be coming down the pipes. I pretty much expected the rates to go up. That’s what happens with quality services. We briefly got into the ridiculous arguments between Oracle and Google over java. Briefly. Next we discuss the so-called “analysis” of cord cutters using more internet bandwidth. Seriously, this is an analysis? Of course cord cutters will use more internet bandwidth than the average consumer as they’re getting the majority of their multimedia entertainment from the internet. Watching YouTube videos, streaming services such as Netflix and Hulu Plus or even online gameplay will chew into network usage meters substantially. Just wait until Google Fiber rolls out to more regions. In more WTH news, Comcast is looking at offering packages for internet service as long as you don’t use a lot of data. Flappy Birds is coming back! Did I sound excited when I said that? Nick shares with us his thoughts on the forthcoming Flappy Birds redeux where it’s now multiplayer. The game was insanely popular, but later pulled from the mobile ecosystems by the developer. 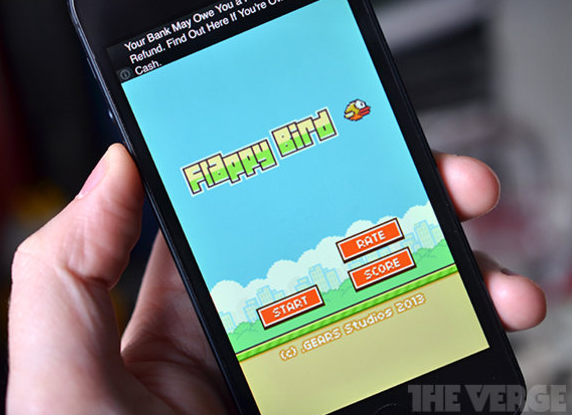 Did you play Flappy Birds as much as the masses? Personally, I’m glad I didn’t try it out. So it’s looking like Apple is buying Beats. Beats is a headphone company that also has a music service. The acquisition could make rapper Dr. Dre the first billionaire of hip-hop. Question. Why the heck is Apple doing this??? We discuss how this looks like Apple is buying into the headcount of users the Beats brand has and there’s no way it’s buying the actual headphone hardware. The Beats headphones are utter crap. Let me say that again, those $300 headphones aren’t worth it. Larry shares an idea that I think he should patent before Apple runs with it. Anything could be better than Apple buying headphones from Beats. Here’s the bad idea of the week. 911 can now accept your SMS in case of an emergency. The feature isn’t available nationwide just yet, but it’s coming soon to all mobile carriers. You really want to send an SMS and hope that your message is acknowledged? We all know that having a notification go off that’s not a “ringing” phone isn’t the same priority in our world. We as people are unintentionally conditioned to not answer emails or SMS on our devices promptly. But when it rings, we tend to answer. There’s a way to hide messages within your tweets. Honestly, I thought it was a little to nerdy for me to understand and decipher. Mat attempted to share a demo of this story in our hangout. It’s cool, but looks like a little too much extra work for plain old social media. Lastly, we mention the changes in the Microsoft Xbox One pricing and XBox Live pricing. Finally, Microsoft gets its act together. 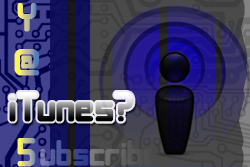 Thanks for listening and watching our podcast each week. The support is always appreciated. Keep checking out our live stream each Wednesday at 11pm eastern. Take a second and vote on my photo in the Professional Litho smartphone photography contest. I appreciate the support there as well. Follow the show on Twitter and join our community on Google+. Peace!